Bratfest is an Oktoberfest-style party hosted and organized by the graduate students of LPL. It features copious amounts of bratwurst (pork, chicken and veggie), grilled corn, cheesecakes, and beer. Various faculty and staff members usually attend, and students from other departments at Arizona also join in on the festivities. 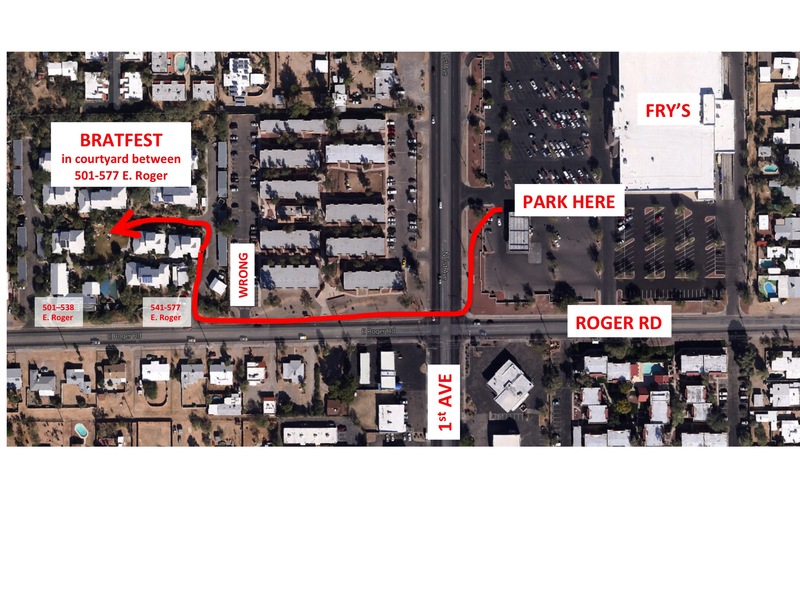 Typically Bratfest requires some planning and organization beforehand, and this webpage serves to provide both current and archived information on the party. We hope to see you there! 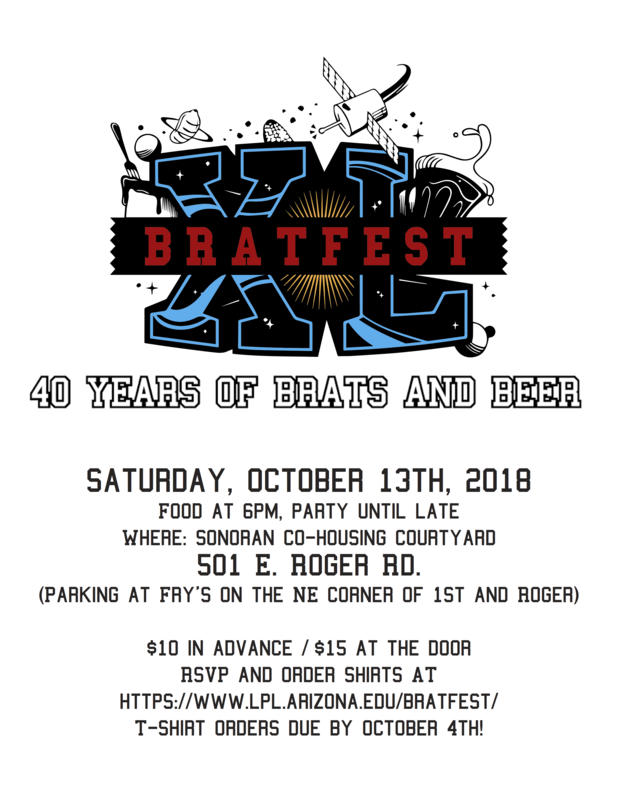 Bratfest XL will be October 13, 2018. We provide: Everything! A (nearly) unlimited supply of bratwurst, corn-on-the-cob, cheesecake, potato salad, and of course, lots of beers, sodas and graduate student-brewed hard cider! You provide: Yourself, family, and friends. We ask for a $10 per person donation in advance ($15 at the door) towards the rather large expenses. 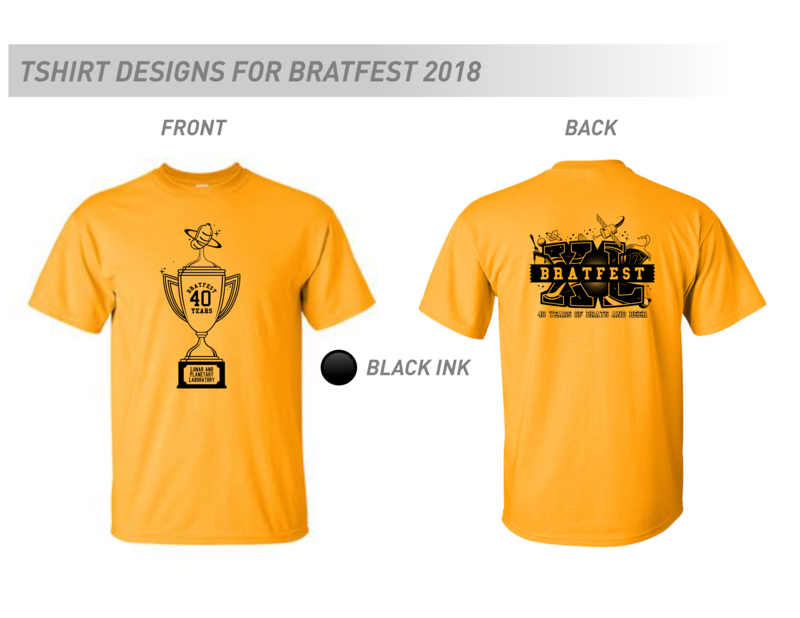 Better still, consider becoming a Bratfest Sponsor by donating $20 or more per person to support our worthy cause. Love Bratfest so much you'd like to randomly donate money to us? You can! Click Donate below!